Look for the yellow vest! 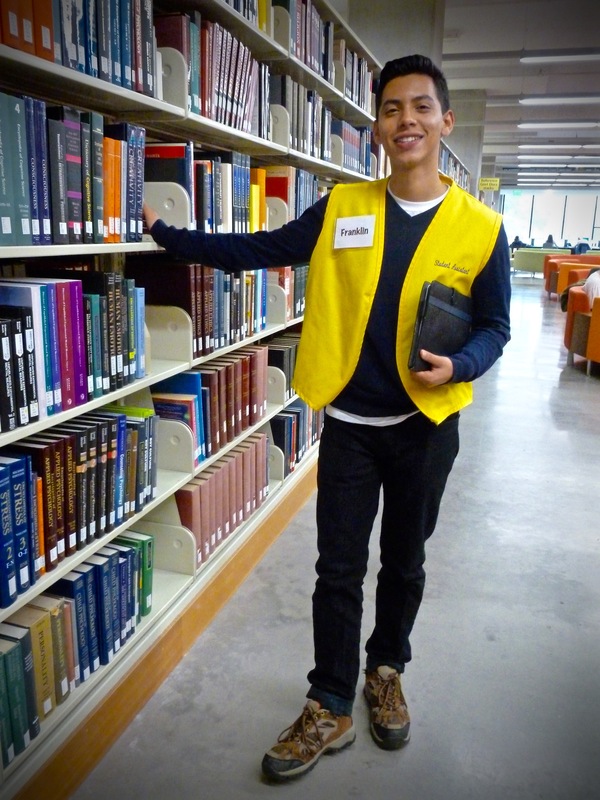 Roving students walk throughout McHenry Library to help you wherever you happen to be. 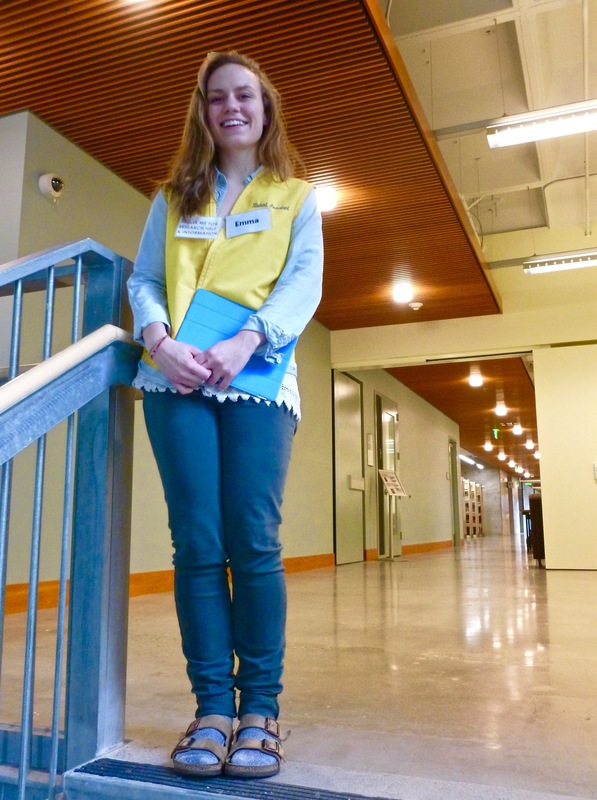 Ask a Roving student for help navigating the Library building, and adjoining classrooms and offices. 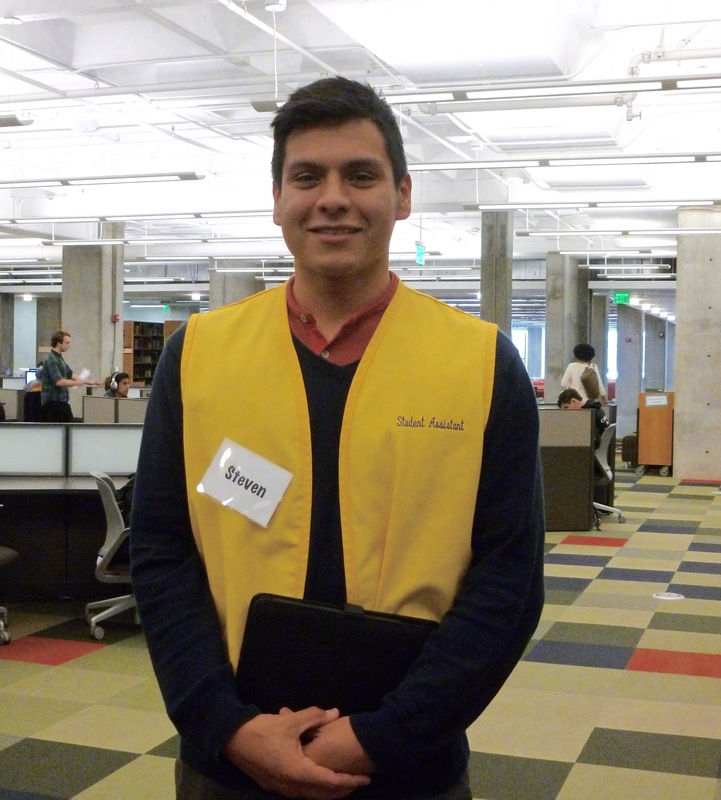 We bring library help to you! 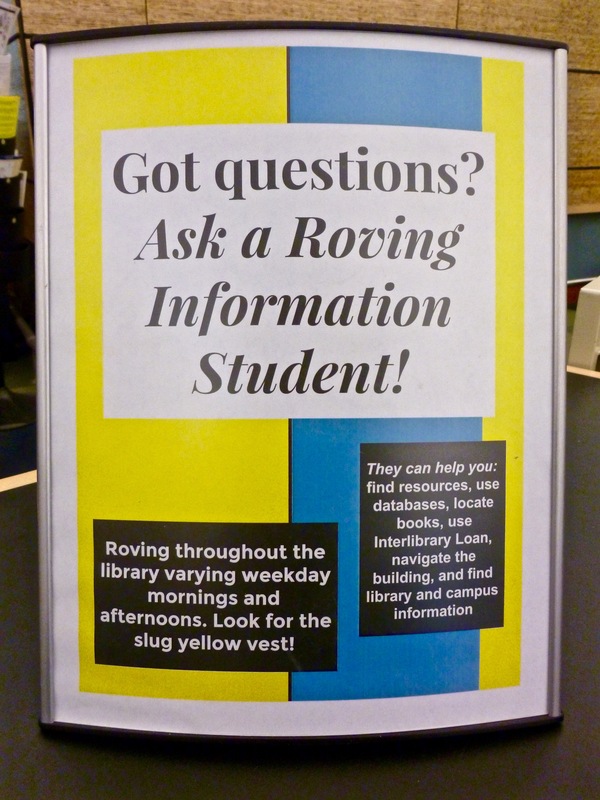 Since 2011, the University Library has provided point-of-need help for our users with our popular Roving Information Program. 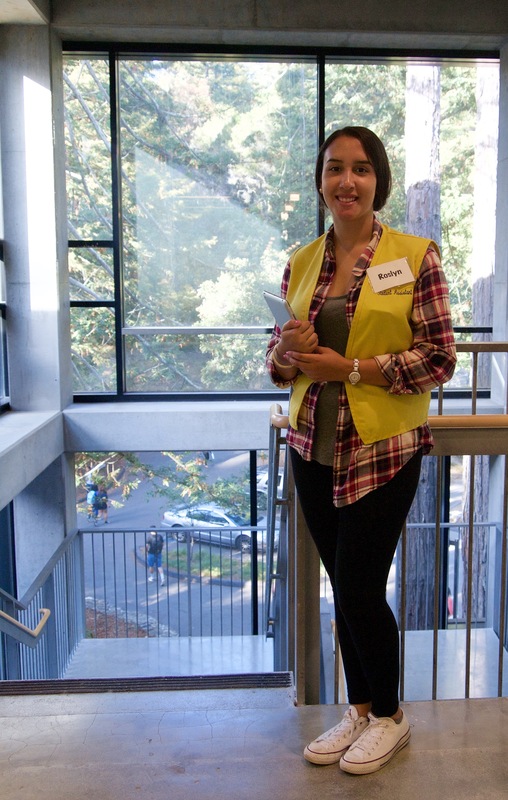 Our six enthusiastic student assistants are a part of our Undergraduate Experience Team. Roving students walk throughout the library building, and are trained to provide help with: basic research strategies, finding material in the stacks and using call numbers, using the library catalog to find books and journals, using the library website, using UC-eLinks, navigating the library building, placing Interlibrary Loan requests, booking group study rooms, finding general campus information, and referring you to experts for more help. The service is available varying weekday hours at McHenry Library, during fall, winter, spring quarters, and summer sessions. Questions about our Roving Information Program? Contact the Program coordinator, Laura McClanathan Meriwether. Roving students enjoy helping you find printed sources in the library stacks. We can help you find library resources. 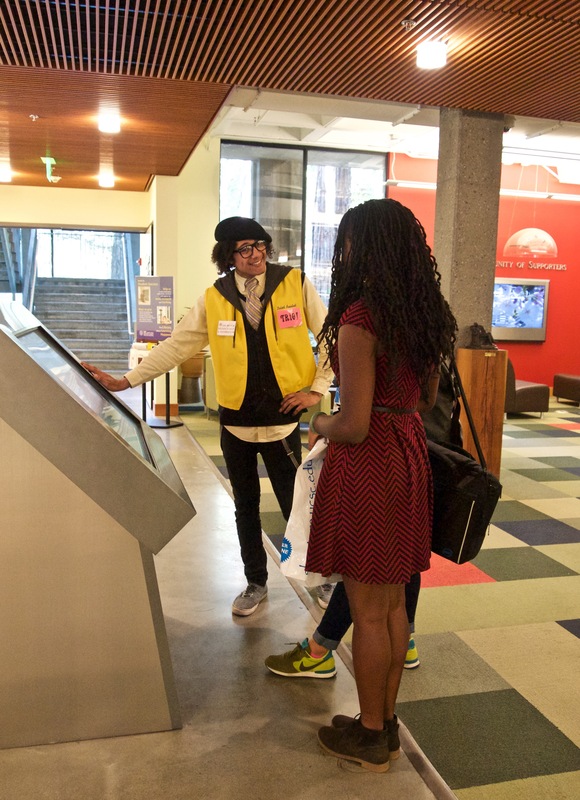 Roving students can help you on any floor of the Library.